(Edit: This home is now Pending Sale. We received 8 offers in one weekend! We can sell your house too.) 2180 Single Tree Lane in Redding California 96002. Just $149,900 for this great home. Here’s the tour video we did. Change the settings to watch in Hi Definition. Single Tree is off Rancho Road. A tranquil cul de sac. Call if you need to see it, or if you know somebody who does. We’re working this weekend, like every weekend! A Labor Day Labor of love. 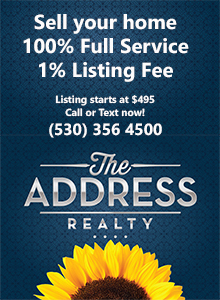 (530) 255 4070. This entry was posted in New Listing and tagged New Listing on August 31, 2012 by Skip@RHB.